NEW YORK — People who ride motorcycles revel in the freedom it provides. Unfortunately, while motorcyclists do have as much right to use the roads as other motorists, drivers may wrongfully believe that their vehicles are more important. They may be reluctant or outright hostile to motorcyclists sharing the road and may drive in a way that is threatening to motorcyclists. Other drivers may not even notice motorcyclists, which can cause dangerous conditions. Motorcyclists can sustain severe injuries as the result of other driver’s negligent or reckless driving behavior. If you’ve been hurt while riding your bike in New York, a Queens motorcycle accident lawyer can help you pursue damages and hold the at-fault party responsible. Distracted Drivers: Drivers who don’t pay attention to the road are more likely to miss seeing motorcyclists around them. When a driver is eating, texting, talking on the phone, or even conversing with a passenger while operating a vehicle, their chances of causing an accident skyrocket. Distracted driving is negligent behavior. Drunk Drivers: Intoxicated drivers put everyone’s lives in grave danger; yet, when you consider the fact that even sober drivers have a hard time spotting motorcyclists, it’s not difficult to see why motorcyclists are at increased risk of being struck by a drunk driver. 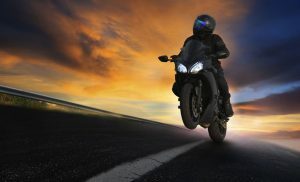 Tailgating: Impatient drivers who tailgate motorcyclists increase the potential for a serious rear-end crash should the motorcyclists need to suddenly step on his brakes. Speeding Drivers: The posted speed limit is a number that has been deemed a safe speed for the particular zone in optimal conditions. When drivers speed, they threaten the lives of anyone they might crash into because the worst effects of a car accident typically occur at high speeds. Motorcyclists who survive high-speed crashes usually sustain severe and life-threatening injuries. Red Light Runners: Motorists who run red lights or ignore stop signs fail to notice motorcyclists passing through the intersection. With a determined injury accident lawyer on your side, it may be possible to pursue an array of damages for what you have endured due to another’s negligence. Attorneys with Cellino & Barnes provide aggressive legal representation to motorcycle accident victims in Queens. We have decades of experience investigating accidents and gathering all the right evidence to support claims. Medical Expenses: All medical bills related to the accident should be covered by the at-fault party’s insurer, whether you need short term or lifelong care. Lost Wages: Your accident might keep you away from work for several days, weeks, or even months. A particularly severe accident may keep you from going back to the job you held altogether. You may be able to recover compensation for these lost wages and lost earning capacity. Pain and Suffering: Physical and emotional trauma can take a toll on your life. An attorney can calculate a reasonable amount of compensation for these non-economic losses. Loss of Consortium: If your accident was particularly severe, the effects may make it challenging to maintain a relationship with your spouse. You might be able to recover compensation for your loss of companionship if it was caused by the crash. Property Damage: Your bike may need to undergo extensive repairs or be replaced after a serious crash. Selecting a dedicated law firm to support you after a car crash is a crucial part of winning your lawsuit. Attorneys with Cellino & Barnes have worked with motorcyclists throughout Queens for over 60 years. Our law firm will not take a fee unless we win your case. Find out how our team of Queens motorcycle lawyers can help you by submitting your case online or calling us for a free consultation. 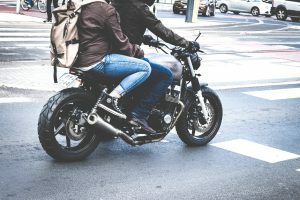 NEW YORK — Motorcycle accidents in Brooklyn occur for a number of reasons, but oftentimes an accident takes place when the driver of a vehicle fails to identify the motorcyclist. Many factors can make motorcycle accidents more likely to occur, such as the weather, visibility, and road surfaces. These factors may influence the severity of the accident. Ultimately, it is the motorcycle rider who has the most to lose in a collision with a standard vehicle. If you become involved in a motorcycle crash in Brooklyn, it’s important to take the right measures to avoid further damage or injury. What you do immediately after a crash can heavily impact your claim should you decide to file a claim for compensation at a later date, which you can do with the help of a Brooklyn motorcycle accident attorney. After an accident, riders may naturally feel in shock and overwhelmed with emotions. Being in shock releases a rush of adrenaline which may mask the pain of a serious injury. Check yourself and others for bruises, lacerations, and any other signs of trauma. If you cannot readily move from where you landed, patiently wait for paramedics. Certain injuries to your spinal cord or vital organs may worsen with movement. If you can move, be sure to call emergency personnel to the accident scene if anyone else was hurt. If you have not suffered any injuries, photograph the accident to have a record of the extent of the property damage. Get pictures before vehicles are moved so that investigators can put together the sequence of events at a later date. Include photographs of all vehicles involved and the damage sustained. You should report the crash as soon as possible to local law enforcement. You need to complete a crash report and document the details of the scene in your own words, even if another party has already called the police to report it. Ask police how you should go about obtaining a copy of the accident report after providing your information. As soon as it is safe to do so move your motorcycle away from traffic. You may instigate another crash if you allow it to block the flow of traffic. A motorcycle crash can lead to considerable unexpected expenses. At Cellino & Barnes, our personal injury lawyers in Brooklyn are serious about helping riders fight for the compensation they deserve after a severe crash. Our attorneys are available 24/7 to answer pertinent questions. Contact us for a free consultation. NEW YORK — People ride motorcycles for the sheer enjoyment of the freedom it allows them to experience that is unattainable through any other form of transportation. Unfortunately, this freedom comes at a steep cost. Motorcyclists run considerable risk as they have nowhere near the protection of people riding cars, trucks, and even subways and buses. Riding a motorcycle on the bustling streets of Manhattan is even more challenging when you consider the congestion and aggressive drivers for which the city is known. Cyclists can face life-threatening injuries when they become involved in a crash. If you’ve been hurt in a motorcycle accident in Manhattan, you may consider discussing your accident with a motorcycle injury lawyer who can help you work through the debt these accidents typically bring. When you pursue a personal injury claim, the goal is to acquire — at the very least — sufficient compensation to cover all medical bills. 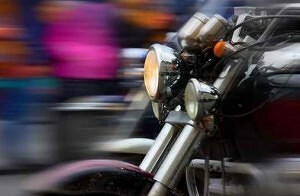 Below are some of the most common motorcycle injuries that plague Manhattan motorcyclists. Road rash or “road burn” is perhaps the #1 injury motorcycle riders sustain when they get knocked off their bikes upon impact. Road rash causes abrasions of the skin when the rider slides across the rough asphalt of the road. It is an extremely painful injury that may cause permanent damage to the skin and scarring. Infections may develop if road rash is not treated promptly or if small debris becomes trapped in the wound. Extreme cases of road rash may require reconstructive surgery or skin grafting. Muscle strains occur when the motorcycle rider’s arms or legs hit the ground. The impact may be so severe that damage to the muscles may require physical therapy and rehabilitation. In some cases, there may be permanent damage. Riders must protect vital muscles at all times by wearing the proper protective gear on every ride. The legs and feet are exceptionally vulnerable in a motorcycle accident. Injuries to these areas of the body may not be fatal, but they may lead to permanent disability without immediate and consistent medical care and physical therapy. Fractured bones in the legs and feet are common, as well as large cuts, scrapes, or road rash in these areas. It’s crucial to wear thick clothing and over the most vulnerable areas and to wear the proper footwear. When a person is thrown off of his motorcycle, his instinct is to soften the impact of the fall by putting down his arm. This ultimately leads to the arm sustaining more damage than other parts of the body. The nerves in the arms may sustain significant damage which may become permanent. 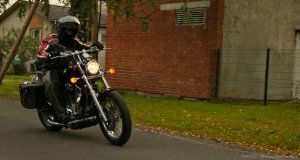 Protective gear like leather jackets and elbow pads can reduce the risk of a bad case of Biker’s Arm. Your head and spinal cord are incredibly important. Your head houses the most complex organ in your entire body — your brain. Your spinal cord connects to the brainstem of your brain and relays vital messages to and from all your other body parts. When either of these structures is damaged, it could spell drastic hardships. Traumatic brain injury (TBI) is one of the most commonly-suffered injuries. A sharp blow to the head can bruise the brain and trigger a variety of unpleasant symptoms such as behavioral changes, mood swings, difficulties speaking, thinking, and heightened sensitivity to light and sound. People may also experience persistent headaches, blurred vision, seizures, nerve injuries, or ringing in the ears. Severe brain damage may also be fatal. The spinal cord is a bundle of nerves that runs down the center of the back. Injuries to the spinal cord interrupt the signals it carries between your body and brain. When you damage your spinal cord, you run the risk of becoming paralyzed in one or more areas of the body. A spinal cord injury may lead to the permanent loss of strength, sensation, and function below the site of the injury. These injuries often require long-term medical care and rehabilitation. No one anticipates the exorbitant costs of medical treatment after an accident. That’s why at Cellino & Barnes, our dedicated motorcycle injury lawyers in Manhattan strive to help you recover every cent of medical bills and more. The damages you may be entitled to after an accident may also include lost wages, lost work ability, and pain and suffering. Contact our law firm for a free case review. BUFFALO, N.Y. – The majority of motorcycle accidents in the United States result in injury or death. According to the National Highway Traffic Safety Administration, 80% of all motorcycle crashes send at least one person to the hospital. So, it makes sense to put safety firsts and learn How To Prevent Motorcycle Accidents. A motorcycle accident attorney in Buffalo says the odds are stacked against motorcycle riders. However, there are several useful tips you can follow to drastically improve your odds of getting to your destination safely. Wear A Helmet. Serious head injuries are common in motorcycle accidents. 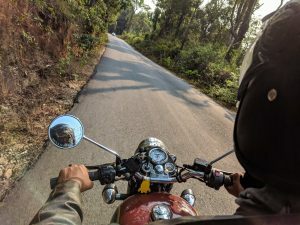 According to the Insurance Institute for Highway Safety, helmets are about 37 percent effective in preventing motorcycle deaths and about 67 percent effective in preventing brain injuries. Be Aware. You just can’t trust other drivers. Always be aware of your surroundings, and communicate with other riders and drivers sharing the road with you. Stick to the Speed Limit. Speed kills. Simply riding above the speed limit increases the probability of a crash by nearly 50%. Be Seen. Motorcycles are the smallest motor vehicles on the road. They can easily be hidden in a larger vehicle’s blind spot. Other drivers can also lose sight of motorcyclists, and going unnoticed is not a good thing. Try to wear reflective clothing and bright colors, and always turn on your lights at night. Use Caution at Intersections. Half of all motorcycle accidents happen at intersections. Most of these are due to other motorists turning left, so communicate and use extra caution! Avoid Bad Weather. No one wants to take the chopper out in the middle of a rain storm. Not only will you get soaked, the risk of a crash also increases as water hits the pavement. Almost all motorcycle accidents can be prevented. Unfortunately for bikers, they must also rely on other drivers to keep them safe. Even if you follow the tips above, there’s always a risk that you’ll be involved in an accident. If you’ve been injured by another motorist, it’s important to act fast. Your health and safety should be the top priority. Unfortunately, medical bills, lost time at work and the countless other costs associated with motorcycle accidents can add up quickly. The good news is, you could be compensated for most of these burdens. An experienced Buffalo motorcycle accident lawyer can help you get the best result possible by investigating your accident and filing a personal injury claim. At Cellino & Barnes, our team of trial lawyers has helped thousands of New Yorkers recover over $2-billion in compensation after an accident. When you contact us, we’ll put our best Buffalo motorcycle accident attorneys on your case, because your case is just as important to us as it is to you and your family. It’s not expensive to get the best either! Our team doesn’t get paid until the big insurance companies pay you what you rightfully deserve. Call us today for a FREE case evaluation. ROCHESTER, N.Y. – If you’ve been watching the news or reading the headlines, you’ve probably seen that Rochester has experienced a recent surge in motorcycle crashes. Almost all of these accidents resulted in severe injuries or death. Many injured riders and family members may now be wondering, What Is My Motorcycle Accident Injury Claim Worth? According to a motorcycle accident lawyer in Rochester, the answer depends on a number of different variables. The bottom line is, motorcycles are dangerous vehicles if you’re not careful. And even when you’re completely alert, other drivers may not be — putting your life in danger. What’s My Motorcycle Accident Injury Claim Worth? In most cases, liability is easy to assess. Can you prove another driver was at fault? If you can’t answer ‘yes’ to this question, you’re not likely to get a whole lot from filing a personal injury claim. If you can’t prove someone else was negligent in your accident, their insurance company isn’t obligated to pay you anything. Motorcycle accident injuries are often some of the most serious types of injuries stemming from traffic collisions. They’re also some of the most costly injuries to treat. Broken bones, for example, can cost you thousands of dollars. These physical damages are easily calculated by looking at medical bills. Other injuries, however, like pain & suffering, cannot be measured in dollars and cents. Typically, juries are instructed to use good judgment when trying to calculate the cost of these damages. Every case is different and should be reviewed by an experienced Rochester motorcycle accident lawyer, who can help you and your family get the best result possible from your claim. The Rochester motorcycle accident attorneys at Cellino & Barnes have been trusted by hundreds of riders across New York State to help them get the best result possible. If you or a family member has been injured in a motorcycle crash, contact us for a FREE case evaluation. Even if you’re not ready to hire a lawyer, you probably have many questions about the legal process. Our team can help get you answers. Call us today for a free consultation. ROCHESTER, N.Y. – A New York motorcyclist was rushed to the hospital this week after being dragged 150 feet by a tractor-trailer outside Syracuse, the Onondaga County Sheriff’s Office said. According to CNYCentral, the crash happened Tuesday evening just after 6:30 on Vine Street near Oswego Street in the town of Liverpool, New York. Deputies say the motorcyclist, Steven McGill, 27, was on his motorcycle when the tractor-trailer hit him from behind. Authorities said the truck driver, John Ries, didn’t see Steven McGill, and the truck continued to push the motorcycle 150 feet before another driver alerted the truck operator of the accident. Unfortunately, Steven McGill was unable to get off his bike because it was jammed underneath the front of the truck, deputies said. The rider was taken to Upstate University Hospital where he was treated for leg and abdominal injuries, CNYCentral reported. 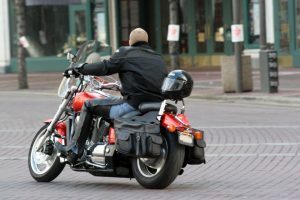 A New York motorcycle accident lawyer says truck drivers have to be alert when driving in the cities, towns, and villages of Western and Central New York. There are also other factors that should be looked at when a motorcyclist is injured by a tractor-trailer or other large vehicle. Every year, hundreds of New Yorkers are injured or killed in motorcycle-truck accidents that can be linked back to a negligent or inattentive driver. An extensive legal investigation could look at a trucker’s driving record and the number of hours he has spent behind the wheel. Fatigue is often a common cause of a New York truck crash, and drivers are required to the log their time operating these large vehicles. Unfortunately, many drivers are pushing their bodies to the limit, and in some cases, they’re breaking the law. An experienced New York motorcycle accident lawyer can collect these logs as evidence that could help an injured victim get the best result possible from an injury claim. A successful case can also pave the way for meaningful changes in our communities that could improve the safety for other motorcyclists, bicycle riders and pedestrians in Western and Central New York towns and cities like Syracuse, Rochester, and Buffalo. Contact Cellino & Barnes at (800) 888-8888 for a Free Consultation with an experienced accident attorney. BUFFALO, N.Y. – Families are enjoying the summer weather any way they can this month: walking in the park, riding their bicycles and taking summer road trips on their motorcycles. Sadly, there have already been several accidents this summer, including one that killed a woman and injured three others after an alleged drugged driver crossed over the center line. More motorcyclists are getting hurt each year, more pedestrians are getting hurt and more bicyclists are ending up in hospitals after run-ins with negligent drivers. New research has found that up-to-date bike lanes often have lower accident rates for bicyclists, but accidents are rising across the board. In Erie County alone, car accidents involving pedestrians, bicyclists and riders are on the rise. Last year, there were over 230 motorcycle accidents – a 23% spike over previous years. Bicyclists face similar challenges, and there have been nearly a thousand more reported incidents involving bicycles last year than years prior. A Buffalo car accident lawyer at Cellino & Barnes says the numbers highlight a concerning trend. According to the data, drivers are at fault roughly 80-percent of the time in multi-vehicle accidents involving a motorcycle, bicycle or pedestrian. These crashes often result in serious injuries that require hospitalization or medical treatments. The first (and most important) aspect is getting medical attention. Many injuries need to be treated immediately, or they won’t heal properly which can cause more issues in the future. It’s also important to keep all records from the accident. These include police reports, witness statements, medical records, and photo or video evidence. If you do not have these, an experienced Buffalo motorcycle accident attorney at Cellino & Barnes can conduct a thorough investigation and obtain these pieces of evidence, which could help you and your family get more compensation after an accident. Whether the accident was truly your fault or not, NEVER admit fault. There are many factors that must be evaluated, including road conditions, weather, the mental and physical conditions of other people involved in the accident, and more. Call the Buffalo car accident lawyers at Cellino & Barnes. The firm has helped Western New Yorkers get the best results possible from their injury claims for over 50 years, and their bicycle accident attorneys are thorough with their investigations. They will make sure that you have the proper evidence and meet the necessary legal deadlines in order to help you maximize your compensation. Cellino & Barnes offers FREE case evaluations, so if you are unsure if the legal process is right for you, it won’t cost a thing to find out. Our experienced Buffalo motorcycle accident lawyers have helped other clients obtain over $2 billion in settlements and verdicts. Find out how they could help you get fair compensation for your injuries. ROCHESTER, N.Y. – Every summer, families mourn the loss of a motorcycle enthusiast. Every year, our communities feel this heartache – and it can all be prevented with safety measures and vigilance. In Monroe County alone, six riders have been killed in separate crashes since the Memorial Day weekend in May. A Rochester motorcycle accident lawyer at Cellino & Barnes says riders are starting to take notice. This week, another deadly crash claimed a life. According to the Rochester D&C, a car turned left in front of motorcycle at a Perinton intersection. The crash killed the motorcyclist and his passenger. Earlier this month, another rider was killed when he lost control of his motorcycle in traffic, WHEC 10 reported. However, not all motorcycle accidents involve passenger vehicles. Last month, three riders were killed just days apart in separate motorcycle accidents near Rochester. According to WHEC 10, one rider was speeding through a Parma neighborhood when he lost control of his bike. Deputies said the motorcycle burst into flames after hitting a stone culvert. Since bikes are much smaller than cars and trucks, drivers often don’t see them. The Rochester motorcycle accident lawyers at Cellino & Barnes said caution and second look could save the life of a person on a motorcycle. Not only could caution save a life, it can also help keep your insurance costs low. In New York State, just one accident can bump-up your premium by 15-30 percent. That could be thousands of dollars in savings – all because you checked twice. If you’ve been injured in a motorcycle crash, the attorneys at Cellino & Barnes can help you get the best result possible. Recognized by Martindale.com as a top law firm in Rochester, clients have trusted Cellino & Barnes for over 50 years. BUFFALO, N.Y. – Riding a motorcycle can be a great experience but it also comes with great risks. In New York State, there are laws that protect riders from devastating injuries and even death. 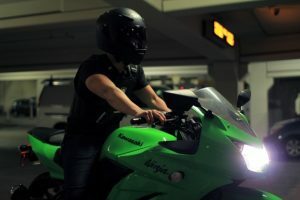 It’s no secret that helmet laws can save your life but most states still don’t require riders to put one on their heads. In some cities, more than 3,000 riders can be admitted to area hospitals every year. Most of them will be diagnosed with serious head injuries and of those hospitalized riders, 80 percent will not survive. A Buffalo motorcycle accident lawyer at Cellino & Barnes says it’s not worth taking the risk. Many riders still choose to wear a helmet in other states but some have the option of storing it away. In fact, 31 states have little or no helmet requirements and the statistics show that biking in those states can be much more dangerous. At King George’s Medical University, doctors treat more than 16,000 motorists each year after crashes involving both cars and motorcycles. Of those patients, nearly 11,000 suffered a serious head injury. The statistics are an important look into road safety as a whole – and the importance of wearing a helmet when riding on two wheels. A recent study conducted by researchers at KGMU found that only 15 percent of riders will wear a helmet when they aren’t required to but nearly half of all patients with head injuries (around 4,500) were taken to the emergency room after a motorcycle crash. Motorcyclists who wear helmets have a much greater chance of survival but the Buffalo motorcycle accident lawyers at Cellino & Barnes hope their message gets through to all motorists: attentive drivers and riders can prevent a potentially dangerous crash. As one of Western New York’s most recognizable law firms, Cellino & Barnes is proud to call Buffalo home and it’s our goal to make our roads and neighborhoods a safer place for everyone. Our Buffalo motorcycle accident attorneys have helped many other motorcyclists obtain the maximum compensation for their injuries. If you’ve been injured on a bike, contact us today for a free consultation.